Home Basics How is Ethereum Different? Ethereum has received a lot of attention since it was released in early 2014, by Vitalik Buterin. Ever since then, it has gained popularity and as a result, many people are constantly comparing it to Bitcoin. It is crucial for potential investors to know the differences and similarities between Ethereum and Bitcoin. Bitcoin is a virtual currency that was launched more than seven years ago. It was the first currency with an idea stipulated in a white paper by Satoshi Nakamoto. Bitcoin charges very low transaction fees compared other standard online payment mechanisms and is monitored and controlled by a decentralized authority. It is radically different from government issued currency. Bitcoin is purely a virtual tool, meaning that there is no tangible Bitcoin, only balances linked to private and public keys. 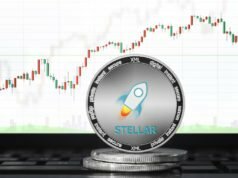 For many years, more and more people have started to appreciate the use of virtual currencies and its popularity has increased among government bodies as well as regulators. Although bitcoin is not globally recognized as a store of value or medium for payment, it has created a name for itself and continues to pave its way in the financial system in spite of being constantly debated and scrutinized. Blockchain is the technology that powers bitcoin. Blockchain is not just the topic of interest in the technology world, but is the most sought-after technology by many firms and industry. A blockchain is basically a public ledger for business and even public transactions. The chain is continues to grow as transactions continue and blocks are added to it. The blocks are incorporated in the blockchain in a chronological order via cryptography, making sure that they are not manipulated by malicious individuals. The blockchain acts as a tamper proof record for transactions that are carried out on the platform, accessible by all stakeholders. The blockchain gives users an opportunity to work at a lower fee with reduced risk, great regulatory compliance, as well as enhanced efficiency. Developers are now using blockchain technology to design applications which can do more than just support digital currency. Ethereum is frequently referred to as Bitcoin 2.0, or Crypto 2.0. Ethereum was released in 2015 and it is currently the largest most reliable open-source software network that lets distributed applications and smart contracts be created and run without any fraud, downtime, or influence from third parties. Ethereum is more than a platform, it is also hosts programming language (Solidify) operating on a blockchain helping developers to design and create their own applications. The applications made for Ethereum have far reaching potential as they operate under its network-specific cryptographic token. In 2014, Ethereum released a pre-sale for ETH which received positive reviews from people all over the world. 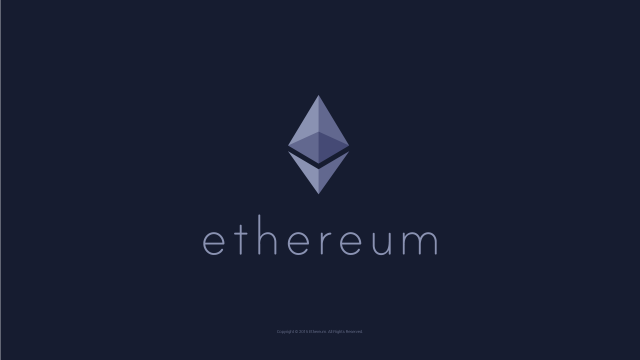 ETH also known as Ether is the token currency that fuels the Ethereum platform. Ether is used for two main reasons. It is used as a digital currency, just like other cryptocurrencies and it is also used in the platform to run and monitor applications and also monetize work. Ether can also be used to decentralize, codify, and secure trade for just about anything. One of the main projects that is currently undergoing is the partnership with Microsoft and ConsenSys which offer users Ethereum Blockchain as a Service- EBaaS. This service is offered on Microsoft Azure so that developers and enterprise clients can have a one click cloud-based environment. While both platforms are powered by cryptography and distributed ledgers, the two networks have many differences. For instance, the programming language used to develop Ethereum is Turning Complete while that of Bitcoin is a stack based language. In Ethereum, transactions are verified in seconds while in Bitcoin, it may take up to several minutes. The basic building blocks for these platforms are also different. Bitcoin uses secure hash algorithm while Ethereum uses ethash. From a general perspective, Ethereum and Bitcoin differ in purpose. Bitcoin was developed as an alternative to money and can be termed as a medium of payment or store of value. On the other hand, Ethereum is a platform which supports open source contracts and applications through its own currency vehicle. Although both platforms host digital currencies, the main goal of Ethereum is to facilitate and monetize the functions on Ethereum to allow developers create and run applications. Bitcoin has established itself as a payment alternative. Ethereum is a form of technology powered by blockchain and with is own purpose. 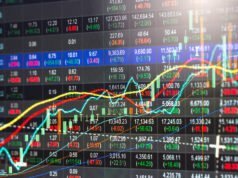 Both Bitcoin and Ethereum offer unique and important features to the global economy. In essence, they both are pivotal in increasing the adoption and exposure of blockchain technology to the wider audience.